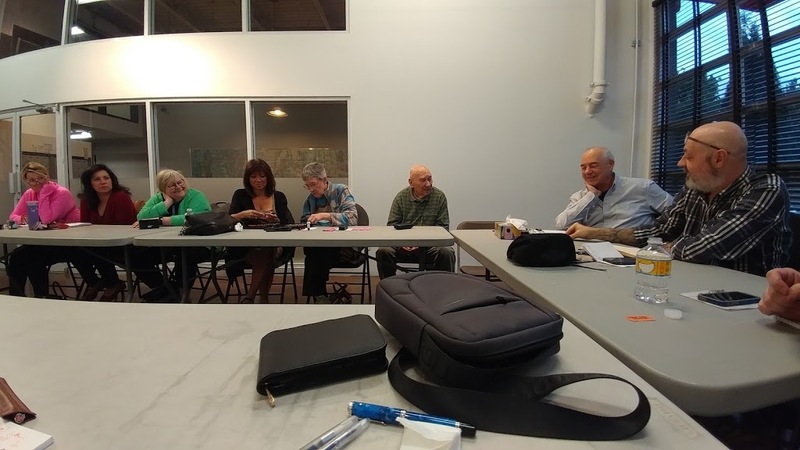 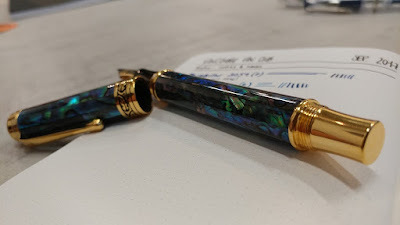 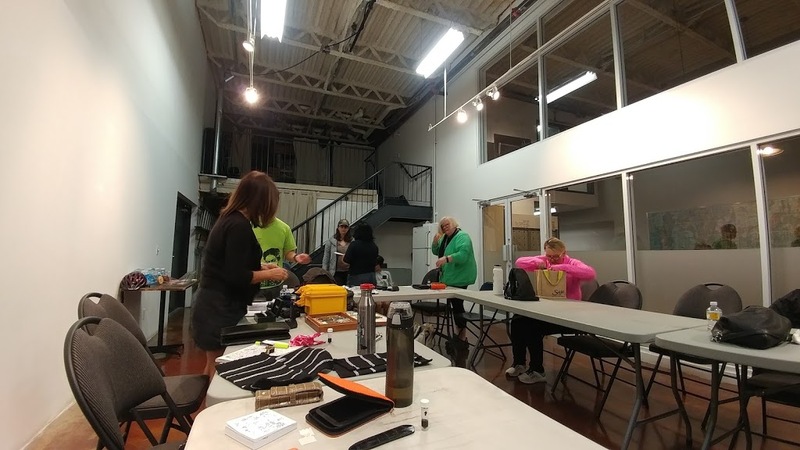 Vancouver Pen Club: September meeting pics---part 3! Lenal's lovely Xezo fountain pen. 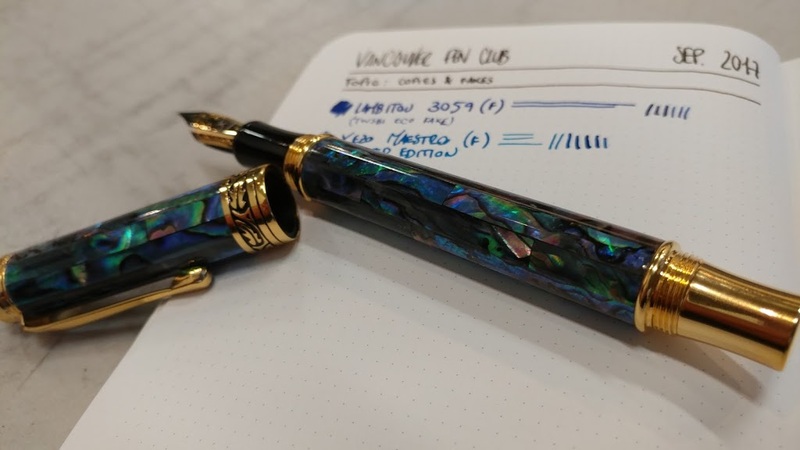 This particular model is the "Maestro Sea Shell", and has an abalone finish. 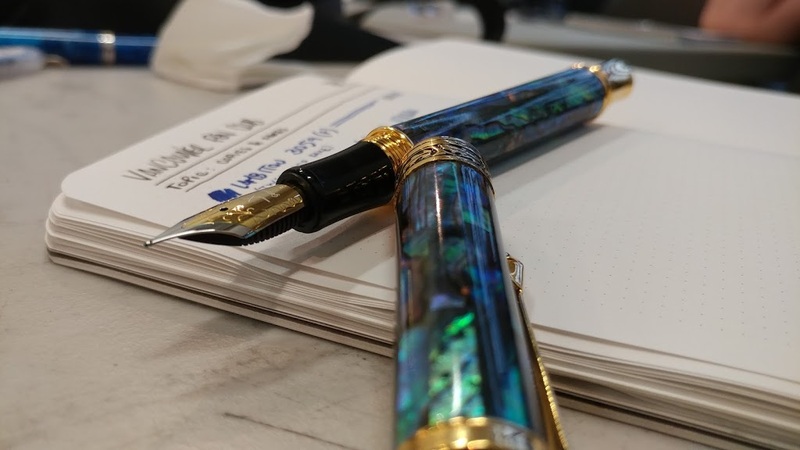 From the official Xezo website : " The overall design concept of these pens utilizes Art Nouveau style and follows the natural colors and shapes of the sea shell material...The sea shell panels range from green to black, along with red or blue overtones. 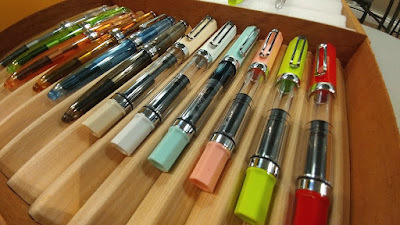 No two pens are exactly alike." Only 500 of the "Maestro Sea Shell" model were produced, and the pen was designed and produced by Xezo for the unite4:good movement. 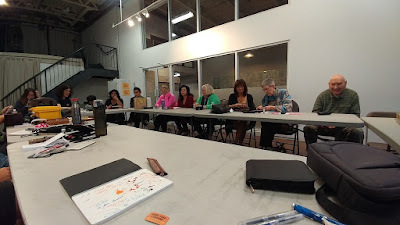 (photo below) From L-R: New VPC member Alice, me (Maja), Natasha, Alejandra, Tony, Lenal, Marzieh, Linda, Wai, Louise and Norm. That's Martim taking a selfie with brother Ricardo smiling on. 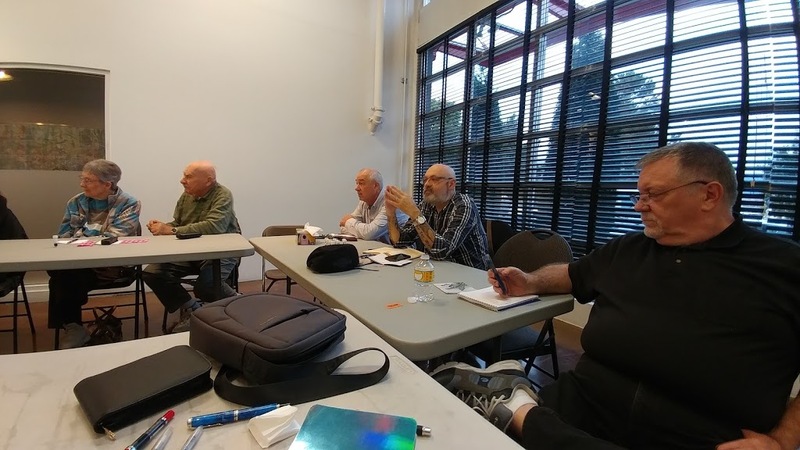 Martim came all the way from Portugal to attend the September meeting! 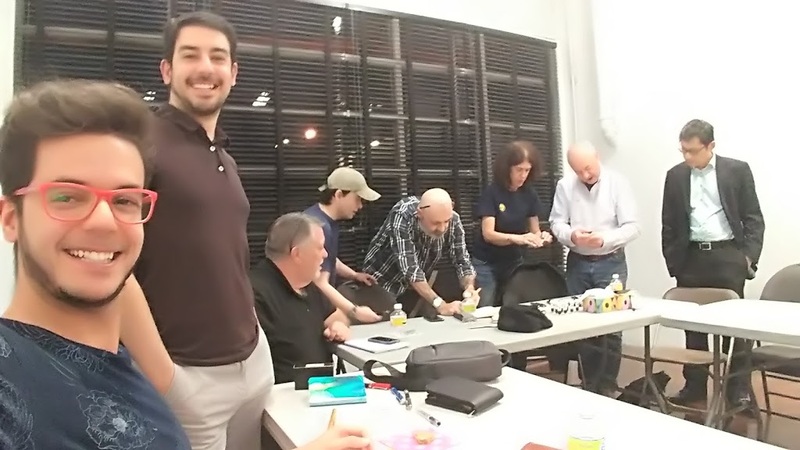 We welcome anyone who wishes to attend a VPC meeting, whether you are a new member, a friend of a member or an out-of-town vistor and pen enthusiast! Thanks to all who came to our September meeting! 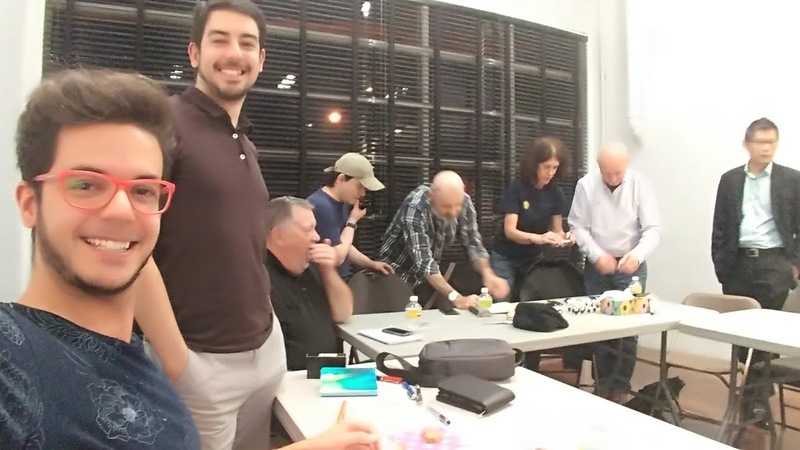 Hope to see you at a future VPC meetup soon! 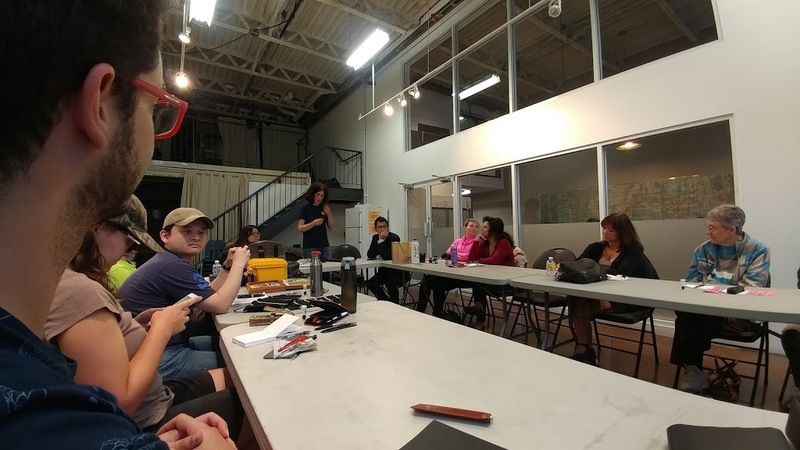 Our next meetup is this Thursday---October 19---full details here, in this blog post.